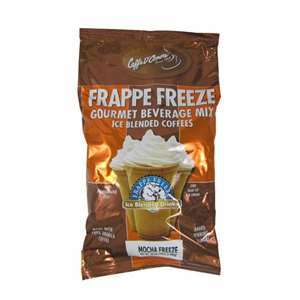 Get the ultimate "double" flavor and convenience with Caffe D'Amore Frappe Freeze Double Mocha Fudge. 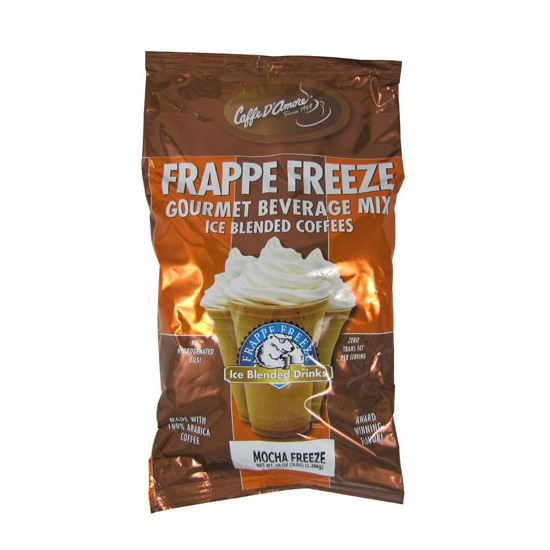 Exploding with real chocolate fudge and 100% Arabica coffee, this powder mix includes everything you need to create frozen, iced, or hot indulgent signature drinks. Caffe D’Amore offers a modern pleasure reflecting the rich heretiage of classic Old World Italian coffee. Using only real ingredients, such as 100% Arabica coffee, Caffe D’Amour full-bodied blends are known for its hand-roasted aromatic intensity and exceptional flavor inspired by recipes dating back to the late 1800s.